Border between India and Pakistan is considered as one of the most dangerous borders in the world. 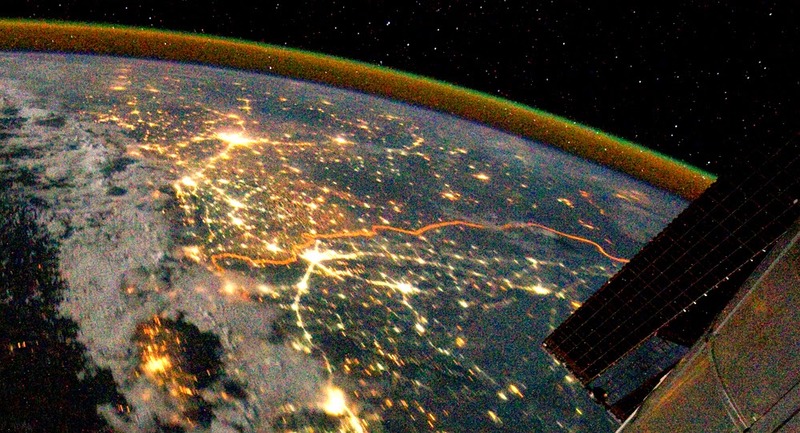 The Indo-Pak border has a total length of 1,800 miles (2,900 km). 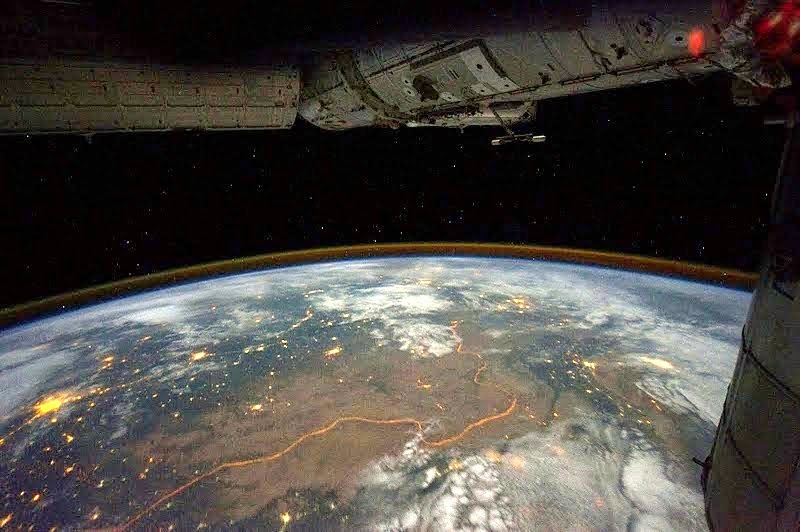 Govt of India has erected floodlights along the terrain separating India and Pakistan in the Gujarat sector to prevent smuggling and arms trafficking. The view of this area from space is amazing. 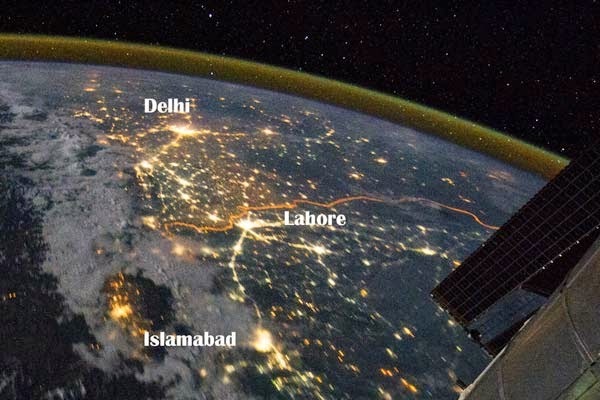 You can clearly see the border between India and Pakistan due to high power floodlighting.